Obsessive-compulsive here has been logging his blood pressure weekly since 2014. That’s enough data points to provide a reliable test for the conventional belief that regular exercise lowers blood pressure. 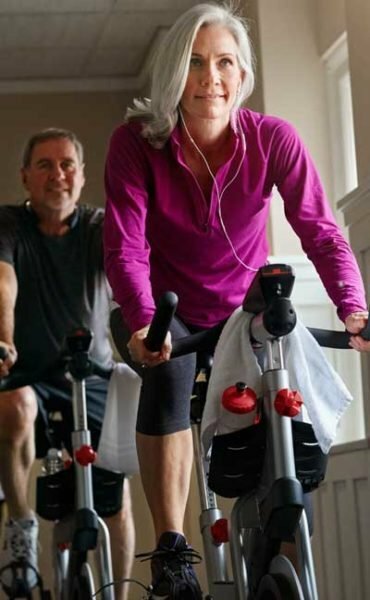 An online search yields a common assertion that daily exercise can lower one’s blood pressure by 4-9 mmHg, although references are inconsistent about whether that refers to both both systolic and diastolic BP or just systolic. The effect is greater for people with existing high blood pressure than for those with normal readings. Although I do try to ride in the winter, my volume of exercise is still far greater in the summer months, so the seasons make a logical way to compare periods of high versus low activity. My systolic blood pressure was 3.5 mmHg lower during the summer months, when I was more active. My diastolic blood pressure was 3.9 mmHg lower in the summer. My resting pulse (heart rate) was 2.1 beats per minute lower in the summer. These all conform perfectly with conventional expectations. The magnitude of change is on par with going onto a strictly low-fat diet, losing 10-20 pounds of body weight, or taking a prescribed blood pressure medication. I know, that’s not an especially interesting result. I guess “science is right again” stories just aren’t very newsworthy.